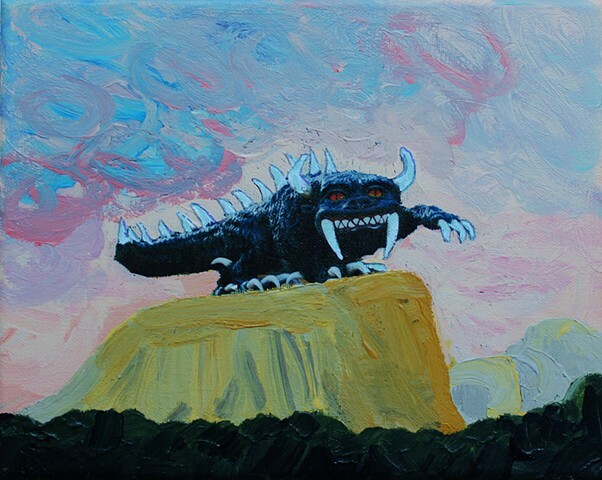 The mythical Hodag of northern Wisconsin vacations in the southwest. Photographic image transfer and acrylic on canvas. Thanks to artist Mateo Romero for kindly demonstrating his techniques.